﻿Shorpy is a blog about old photos and what life a hundred years ago was like: How people looked and what they did for a living, back when not having a job usually meant not eating. It's really fascinating. Usually one picture a day really catches my attention. 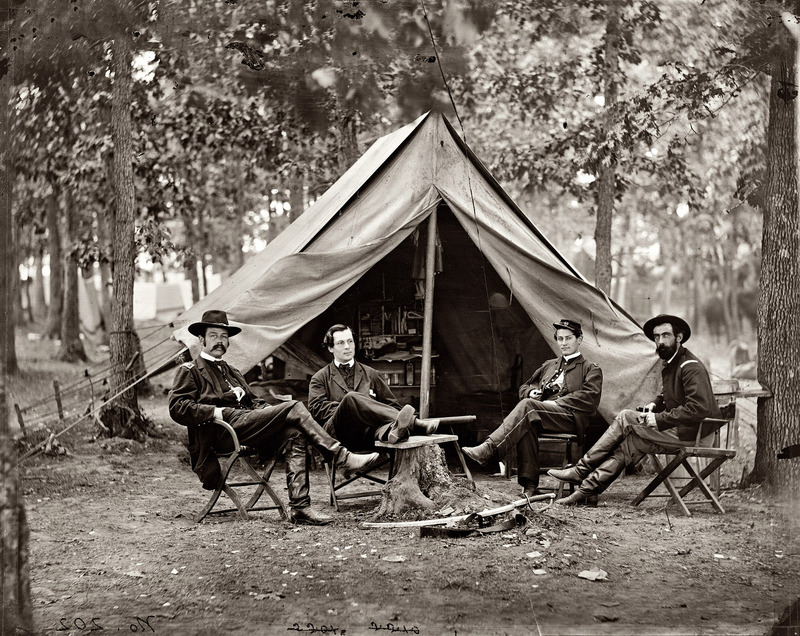 The photo that totally left me inspecting the details today was from 1864. The chair of the chap on the far right looks like something you could still easily purchase today (sort of director's chair style, but at chair height). We had those at home with gold canvas when I was a kid. And look at the guy second from the left. Interesting neckwear and haircut and so on. 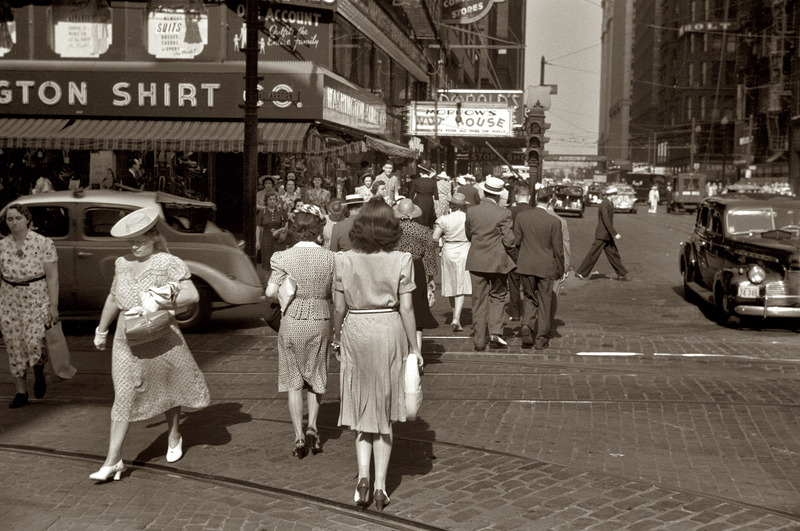 A few days ago it was "Crossing Dearborn", a photo from 1938 of folks crossing an intersection in Chicago. Look at the shoes, and the hair, and the purses and bags and hats and gloves. There's a Live Journal feed if you're interested. Usually 8-10 pictures a day are posted. That's incredible quality for a 100 year old photo. Do keep in mind that it is an 8"×10" glass-plate negative. That's around 60 times more area than 35 mm film! But that notwithstanding, the focus is pretty sharp for camera built 150 years ago.